5 Best Resorts Near Delhi - If you are planning to go out for a weekend tour or a good vacation with friends and family, you should try following resorts nearby Delhi. There are a number of place in Delhi to enjoy weekend but if you want go near at Delhi, you would look these resorts. 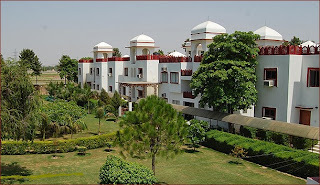 Heritage Village Resort: Heritage Village is situated at NH8, Gurgaon, Manesar. It is a very good resort to spend time on weekend nearby Delhi. There was a lawn, a swimming pool, a disco, bar, nice restaurant, great food and the service exceeded expectations, and room service was available even after midnight. The best thing about Heritage Village was that it reflected Rajasthani tradition. The design of the buildings was like the Mahals in Jaipur. 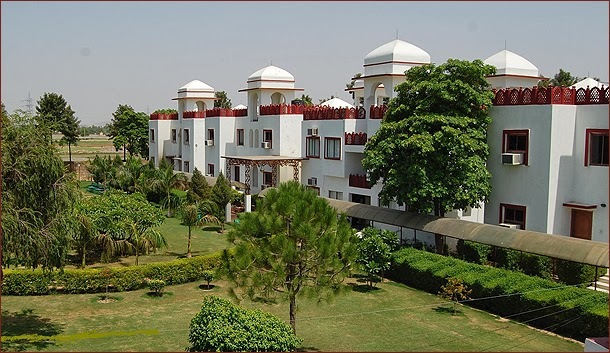 Aravali Resort: Aravali Resort is located at Dharuhera, Rewari from 76th Milestone, Delhi Jaipur Highway NH-8. It is a best weekend gateway near Delhi. There are very nice ambiance with very supportive staff, excellent food with 5 star services, pool side party, in-house bar & exotic restaurant, a perfect place to have a weekend. It can be become your better place to have a weekend with your friends & Family. Loha Garh Fort Resort: Loha Garh Fort Resort, a fine resort is located at village Kachera Wala near Kukas (NH-8), Jaipur. It is a peaceful, refreshing resort and you feel close to nature, relaxed your body & mind. The place was serene, calm with birds chirping and sound of flowing water, everything in it blended with nature. The eco-tourism concept, tree houses and cottages with private pool are an interesting experience for urban folks. Unchagaon Resort: Unchangaon Resort is a mill commercialized resort, located at Village Unchagaon, Bulandshahr, Garhmukteshwa(U.P.). There is still quite a homely touch the place. But the food is good, and matches the pace. The place could certain do with more maintenance, like the badminton court or the squash court. While the road is awful, the drive to the Ganga is quite interesting. Desert Resort: The Desert Resort, a luxury resort located at Mandawa, District Jhunjhunu around 265 kilometers from New Delhi. It is one of the best resorts in Rajasthan with a lot of activities and also since the owners run the castle as well as a hotel, one can enjoy the heritage of mandawa. The food is good and a lot of options considering its in a village and the dinner at the dunes is an unforgettable experience. This is the list of top five resorts near Delhi including location and features. If you are bored in Delhi and want to go out of Delhi, visit one of these resorts. Hope you enjoy it.